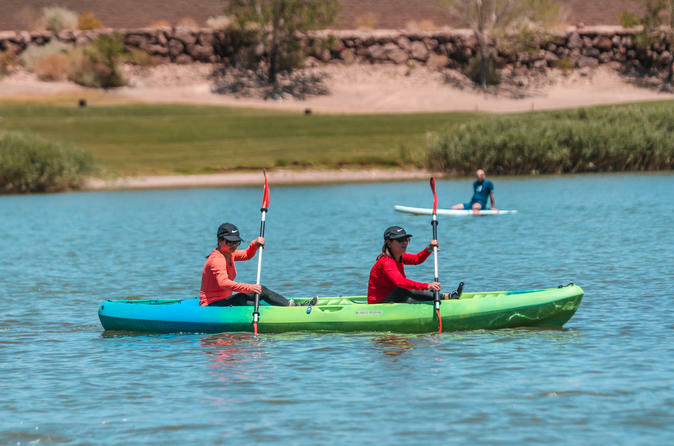 Take some time to relax and explore the calm waters of Lake Las Vegas on a tandem kayak for two. Glide across the lake and enjoy unobstructed views of the Lake Las Vegas Resort Area and scenic desert landscape from the water. Plus, choose from a 1- or 2-hour tandem kayak rental and multiple departure times to easily fit this activity into your schedule.